Catching the Dreams of Tomorrow, Preparing Young Women for the 21st Century: Delta Academy was created in 1996 out of an urgent sense that bold action was needed to save our young females (ages 11-14) from the perils of academic failure, low self-esteem, and crippled futures. The goals of Delta Academy are to shape well-rounded young women and enhance or spark interest in math, science, technology and/or careers where minority women are scarcely represented. 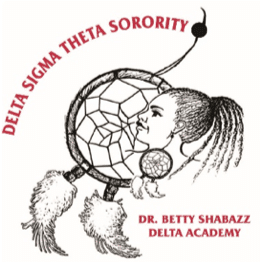 The Dr. Betty Shabazz Delta Academy’s aim is to focus on providing experiences and opportunities to enhance academic, social, and intellectual development. Many young ladies have tremendous potential; however they are not afforded the opportunity to broaden themselves, express their curiosity, and experience new and different things early on. During the Delta Academy sessions, activities are centered around character development, such as self-esteem, self-motivation, and developing life skills. These participants will also learn about healthy choices, the importance of community service, literacy through book club participation; as well as African American history. In addition, field trips are planned to various destinations to give these young girls a chance to ignite an interest for their future. Every second Sunday, these young ladies will experience endless possibilities of what they can achieve. c/o Delta Sigma Theta Sorority, Inc. If you have any questions or concerns, please email us at macdstacademy@gmail.com. 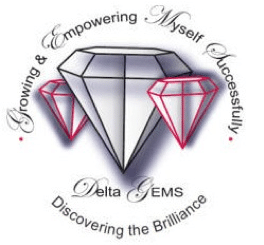 A natural outgrowth and expansion for the continuation of the highly successful Dr. Betty Shabazz Delta Academy: Catching the Dreams of Tomorrow, Delta GEMS was created to catch the dreams of African-American at-risk, adolescent girls aged 14-18. Delta GEMS provides the framework to actualize those dreams through the performance of specific tasks that develop a CAN DO attitude. If you have any questions or concerns, please email us at macdstGEMS@gmail.com. Both informal and empirical data suggests that African American males continue to be in crisis and are not successful educationally, socially, and emotionally. 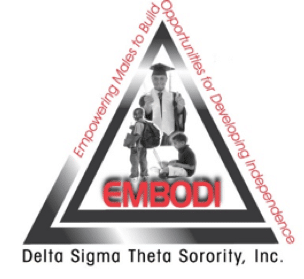 EMBODI is designed to address these issues through dialogue, recommended strategies, programs and activities. Every second Sunday, these young ladies will experience endless possibilities of what they can achieve. If you have any questions or concerns, please email us at macdstEMBODI@gmail.com. 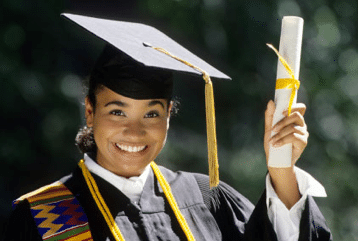 As part of our Educational Development thrust, the Morristown Alumnae Chapter is pleased to offer financial assistance to deserving high school seniors. Each year we award scholarships to qualifying students residing or attending high school in Morris County. Commencing in 2018, residents of Sussex, Warren, and Hunterdon Counties may apply. Additionally, students who live outside of these counties, but participate in our GEMS or EMBODI youth programs are also invited to apply. Applications must be postmarked by April 15 of each calendar year. Please refer to the application for complete eligibility and submission requirements. CLICK HERE to download the application. Since the creation of the Morristown Alumnae Scholarship program, the chapter has awarded over $125,000.